In a past life, I was an EMT/Paramedic. In case you didn’t know, that job has a high rate of something called burnout. Burnout is a chronic stress condition that can lead a once healthy person into a complete meltdown. 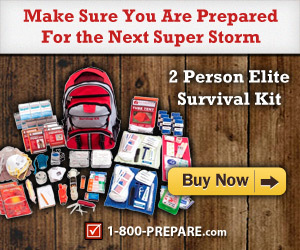 Sustained exposure to emergency situations, dangerous scenarios, and the constant fear of the unknown can lead to an absolutely monstrous amount of stress for emergency personnel. The greatest danger? Many of them never see it coming. Don’t let life beat you. Burnout is not something that happens overnight. It is caused by continuous stress that never lets up. Chronic stress leads to a variety of psychological and physical reactions that can lead to fatigue, unintended weight loss, insomnia, and other ailments you definitely don’t want to deal with. In order to prevent or rid ourselves of these symptoms, we have to identify the source of the stress in our lives and get those stress levels reduced as soon as possible. How do we start? Usually, the sources of our stress are people we are close to or interact with on a daily basis. Here are 5 of those folks that will send you to the hospital on a stretcher if you don’t get it under control. Remember one thing, while these 5 people might lead to your burnout at times, they can also help lead you on the road to your recovery. Never turn your back on those that want to help you. Never. Most of us absolutely adore our spouses and would do anything for them. Love is grand most of the time, but what about when it isn’t? Financial pressures, unreasonable demands and unmet expectations in a marriage or a partnership can lead to major stress. It is critical to talk to your partner when you feel like your stress over your relationship is raising to an unmanageable level. Coworkers are the people you spend the majority of your day with, or at least in America we do. Since we work so many hours, you will find yourself interacting more and more with your coworkers. It is important to maintain a good relationship with them, but even the best coworkers can get into stressful situations. Increasing pressure from higher-ups, tighter deadlines, and higher production levels are stressful enough. Add that to people with different opinions and lifestyles being forced to work together and you are sitting in a big bowl of stress soup. Coworkers need to learn quickly how to establish boundaries and respect each other to keep work stress to a minimum. As our parents’ age, it is natural to want to care for them. After all, we are only returning the favor, right? While this is true, so often parents can become very particular and demanding as they grow older. Increased health issues mean more trips to the doctor and pharmacies to keep these people feeling their best. Nursing may be required. If your parents come to live with you, they may be critical of you and the way you run your household, which can bring increased stress levels to your existing family. That will quickly lead to burnout. Our children are probably more important to us than any other human beings on the planet. The sacrifices we make to ensure their safety and comfort are sacrifices we make with minimal complaining. But what about when our children have special needs, are disciplinary problems, or just have a ton of activities? These are areas of our lives that can quickly become a source of burnout, and the guilt we may feel about never being a good enough parent can compound that, driving us quickly into feeling burned out, stressed out and depressed. We “get by with a little help from” our friends, as the old song goes. Sometimes friendships become imbalanced. Everyone has had the experience of having a friend who calls too often or needs too much. It isn’t easy to learn to establish boundaries with our friends. Naturally, we want to help every person in need, but sometimes we just cannot do it. This is when it becomes important to know our limitations. Sometimes your friend needs to get by with a little help from someone else. Nobody can call when you are going to start feeling burned out, so it is important that you are honest with yourself. 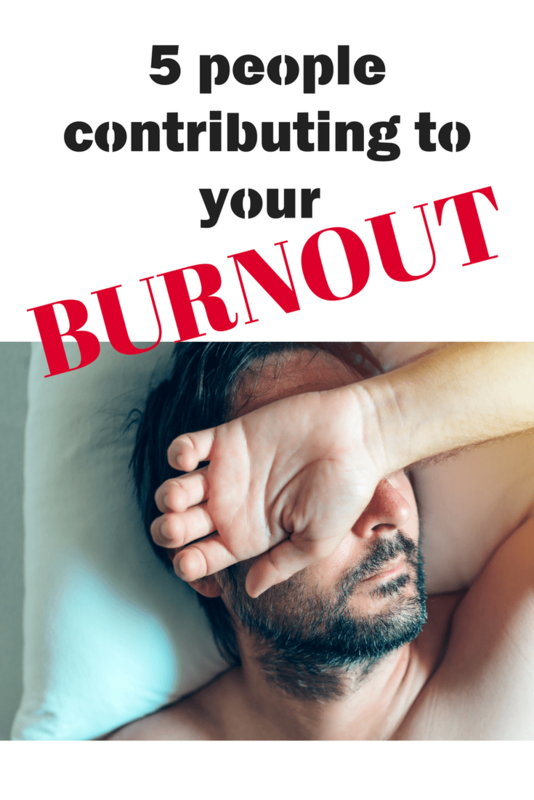 Remember burnout doesn’t happen over a few days, it happens with sustained stress over time. Please manage the stressors in your life, and be careful. What are some tips that you can offer other people that have helped you in the past? I still suffer from PTSD while going through events with my time in the military and while working EMS, what are some things you have done to conquer your battles? I know I got burnt out working in transportation. And I know certain family members cause me stress. I do my best to set boundaries only to have them trample those boundaries. I’m struggling with a way to deal with them. Wonderful blog! Great tips to help identify stressors. One thing I would add, I’d add ourselves. Be on the lookout for trying to tackle too much or trying to be perfect, trying to live up to this idle self we have in our heads. I don’t mean everyone has this tendency but quite a few people do. We add to our own burnout at times. I combat this with some good quality me time. Burnout is my middle name. Just everyday situations stress me out the older I get. Thanks for the tips! I get burned out just trying to make ends meet. Luckily we own everything, and are both frugal and resourceful. It gets tiresome though at times. Now it is really bad, eople talk of vacations and I have to admit I get a bit green. I luckily love time with my husband. I find walking daily reduces stress no matter the source. My Mom was my worst trigger, she was a very toxic person. These are great tips. I always feel burned out. I will have to follow these. it is interesting to know about these things. I constantly feel so much stress and don’t know what to do. I suffered from burnout while working as an Art Director for a major newspaper. I had all the symptoms: My co-workers were on y last nerve with carelessness, my husband was upset I was constantly late, My parents with cancer scares, my kids getting married and having kids of their own, and everyone trying to chip off a little more of my time. Friend time was non-existent! I ended up walking away when an early retirement was offered and my employer was shocked. I am not sure how no one did not see it, but it was the best move I ever made.